5 words: Silly children playing dangerous games. I was pretty love/hate with this book the whole time I was reading it. From loving the turmoil with the relationships to hating the actions of these stupid, irresponsible children, I was swinging backwards and forwards from a rope swing tied to a branch. There was something that just angered me so much about how these stupid little children endangered the lives of everyone. Their stupid game, in the name of "boredom" just made my blood boil. What's wrong with picking up a book? Or getting a summer job? Or doing some volunteering? Or doing anything at all that doesn't involve vandalism, theft, animal cruelty, dangerous driving, under-age drinking, drugs, man slaughter, tomb-stoning... The list of irresponsible, dangerous, IDIOTIC things these stupid little children get up to is endless. But I found that I enjoyed the other stories in this book, although they were greatly overshadowed. I loved the relationships between siblings, the love of a family, the way friendships don't always last. 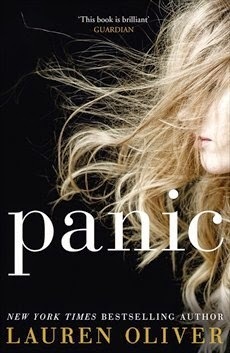 As much as I enjoyed reading Panic, I can't help but to hope it's a stand alone. I think that's where the power of this story lies. I've got this one, but haven't gotten around to reading it. Thanks for the review! 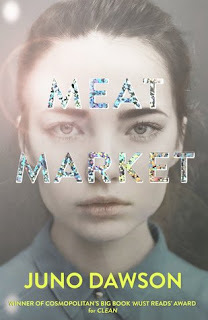 I thought elements of this book were good, but it became a little too unbelievable for me in the end.